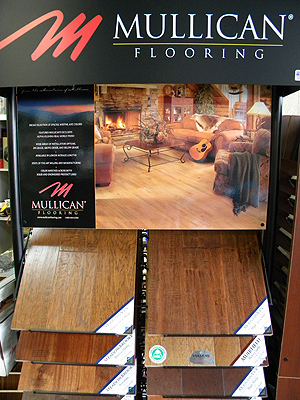 Laminate flooring offers great looks at affordable prices. It�s also durable. Kids? Pets? Relax. With laminate flooring, you won�t have to worry. Laminate floors are made to stand up to high traffic and high impact. And laminate is versatile too � it can be installed in any room in your home, wherever you want the beauty of hardwood, stone or tile without the cost and maintenance. Hardwood flooring has never been more popular. Our hardwood floors are designed to match any d�cor � from sophisticated contemporary to distinctive, hand-scraped rustic. Hardwood flooring is suitable for most areas of your home. Trust our design team to help you choose the right floor for a lifetime of enjoyment. We even take care of the installment so all you have to do is tell us where it goes.